Teaching Hip Hop to young children has never been so easy! Check out the store to get started! WHAT TO EXPECT: 16.5 hours of self-paced video learning, quizzes, an exam + a Practical Application Submission. TIME LIMIT: This course defaults to give the user 30 days to complete the course from date of purchase. Extensions are made upon request when needed. TECH SPECS: This course is optimized for Firefox and Google Chrome. You will also need access to a webcam to take pictures of yourself throughout the course (to ensure single user). This course is also accessible on iPhones and iPads. 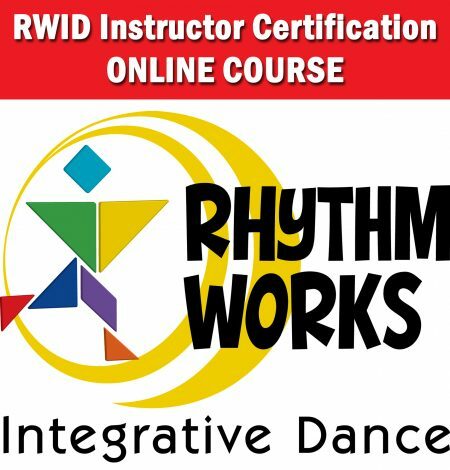 CERTIFICATION: Upon completion of this online course and accepted submission of the Practical Application, you will be certified with Rhythm Works Integrative Dance. 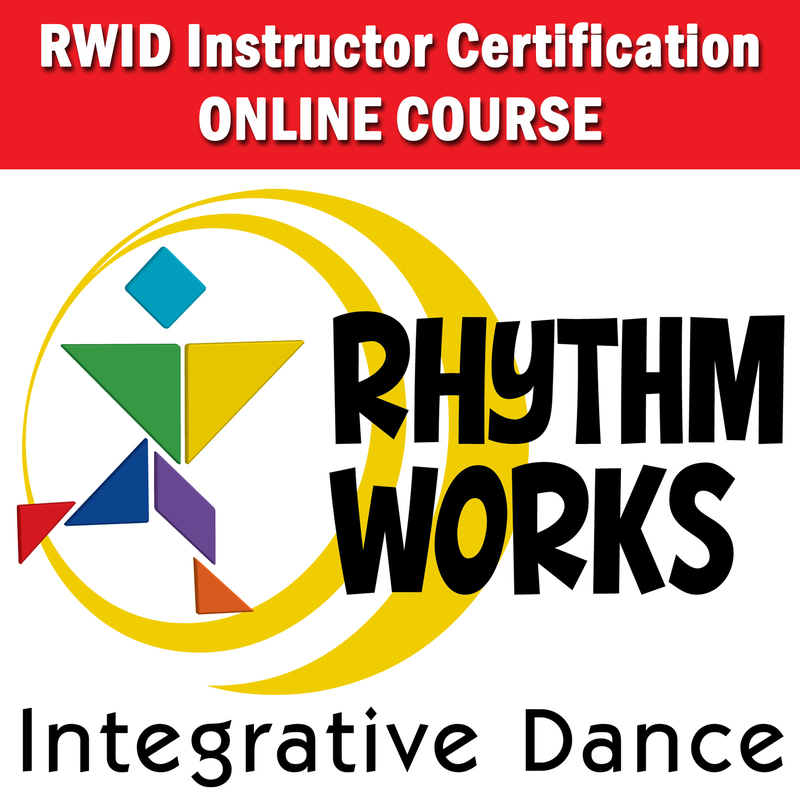 ABOUT RWID: Rhythm Works Integrative Dance is a rhythm and dance program that incorporates evidence-based practices from sensory integration, applications to physical skills, and behavioral strategies. Our Certified RWID Instructors and Practitioners use the program as part of individual therapy sessions, as well as in group settings such as dance studios, school classrooms, recreational centers, assisted living facilities, and more, to increase participation opportunities for everyone! Developmental, functional, and motoric goals may be supported through purposeful, client-centered rhythm and dance activities. The program also promotes development in self-regulation, attention and communication skills. The key to this ground-breaking program is the library of 150 hip hop dance steps that are classified into 31 sensory, kinesiology, cognitive, and motor skill set categories to assist in achieving common developmental goals. Session content is strategically chosen based on the desired skill development of it’s participants, making Rhythm Works Integrative Dance a highly customizable and effective choice. The RWID Certification Workshop identifies a variety of teaching styles to effectively accommodate individual learning differences. This is more than a basic dance class. Our Certified Instructors and Practitioners are trained to see the “whole student” with open eyes and a world of possibilities! Attendees will learn how RWID can be customized for each client to improve outcomes for individuals with Autism Spectrum Disorders, Down syndrome, Cerebral Palsy, Sensory Processing Disorder, ADHD, and other learning differences and special needs. Throughout the certification course, attendees are engaged in research-based lectures, hands-on activities, and informative question and answer sessions. Upon the completion of the course, passing score on the written exam, and practical application approval, attendees will be certified Rhythm Works Integrative Dance Instructors and will be able to demonstrate knowledge of the clinical, technical, and social applications of RWID. Prerequisite: No prior knowledge of sensory integration, behavioral strategies, or movement safety is required, but it is suggested that attendees have either 1 year of experience working with the aforementioned diagnosis, OR 2 years experience with teaching dance. Special exceptions are made on a case-by-case basis.